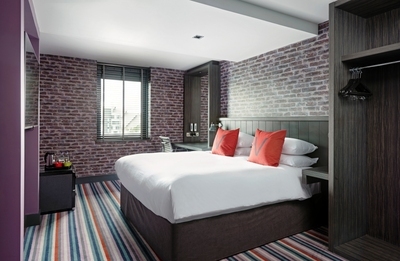 Village the Hotel Club Glasgow has been named City Hotel of the Year at the 2016 Scottish Hotel Awards, just nine months after opening. 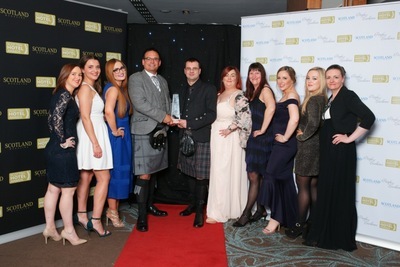 The 120 bedroom hotel was awarded both the regional title (Glasgow and Clyde) and the national title of City Hotel of the Year 2016 at a prestigious ceremony held recently at the Sheraton Grand Hotel in Edinburgh. 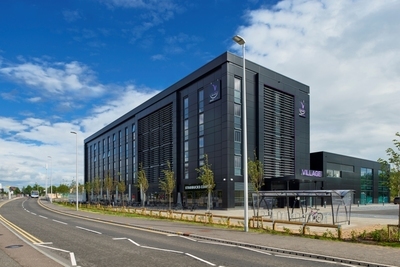 As the newest addition to the Village the Hotel club portfolio, the distinctive ‘Black Box’ design hotel opened on 13 July last year in the heart of Pacific Quay, just five minutes’ walk from the SSE Hydro, Clyde Auditorium and the SECC. As well as a state-of-the art gym, the Health & Fitness club boasts a 20m swimming pool, steam room, sauna, jacuzzi and a packed programme of studio classes. Guests who prefer to relax can enjoy the exclusive Viva Urban Spa, offering a range of luxury ESPA beauty and relaxation treatments. Verve Grill & The Public House offer guests delicious dining options, or there are light snacks and coffees available from the onsite Starbucks Coffee House. For events and meetings, The Events HUB offers flexible space with room capacity for up to 300, a dedicated event organiser, wedding planner, stylish event rooms, fully stocked conference café and relaxing breakout and reception area.